Few musicians are able to have successful solo careers. Even fewer are able to release six albums on their own. Singer/songwriter Ken Will Morton has done just that and is working on his 7th album, “Slow Burn”, set to release in January 2013. Morton’s music resembles many other popular folk acts who perform Americana and blues. However, his raspy voice and The Head and the Heart-sounding instrumentals set him apart from other singers. His songs are a unique mash up of the style of Steve Earle and the Avett Brothers, though he has plenty of original tunes. Morton’s work intersects the genres of rock, country and folk, using instruments like the banjo and harmonica in the process. Here, we break down five of our favorite tracks from his latest release, “Contenders”, which came out last year. Broken Windows: This tune, much like a Bob Dylan track, soothes the listener with Morton’s acoustic huskiness, soft piano and bluesy lyrics. Que Latisma: This track combines Americana with a Spanish sounding guitar, which tells the story of a love tragedy. It’s a country twang crossover that acts as the overall standout on the album. Too Soon: This song tells the tale of living fast and recklessly, with scars that come along the way. 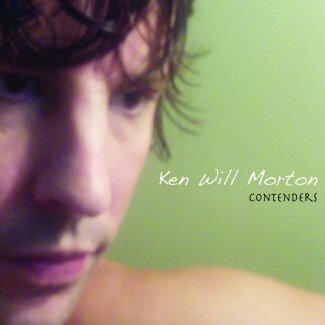 Like some of the other tracks on “Contenders”, Morton preaches about continuing on when life gets hard, especially when love’s got you down. Swan on the River: This tune fuses the sounds of the Avett Brothers and John Mayer to produce a folksy sound that croons a simple story about a country river. Banjo and harmonica complement Morton’s acoustics to make this Southern-style track. Change: This song comes at the end of the album, where it wistfully closes with a harmonica and the acknowledged need for everything to change. Like Morton’s other songs, its lyrics set it apart from the typical country, acoustic rock. To see Ken Will Morton perform live, catch him on WUGA’s “It’s Friday” in January.